An attractive, even alluring exterior to trigger an interest from people passing by. Stage and fully equipped sound system for music and preaching. A big screen and projector. Food and beverage kitchen facilities. A location on a busy street to attract attention from those passing by. Many churches are large and well funded and can afford to buy or build a facility with the above advantages. But, many small church communities exist that are not prosperous. These smaller churches can’t afford such a location or such a building. 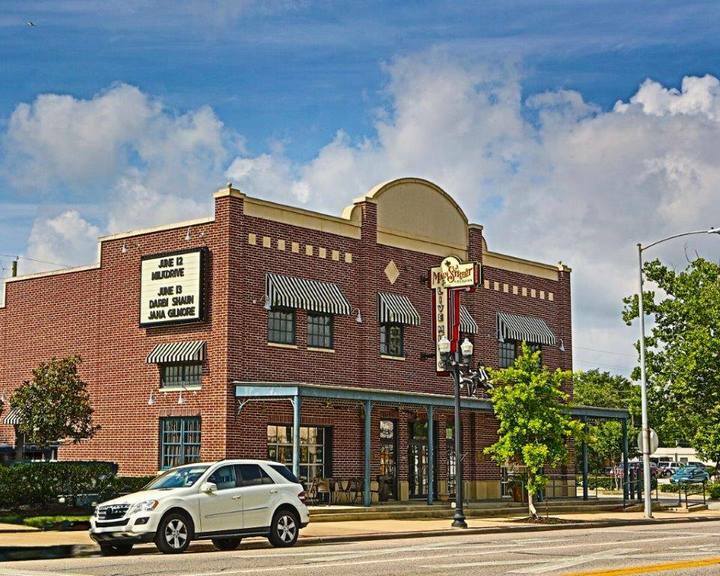 To serve these small church communities, Main Street Crossing, a 501 C3 corporation built a beautiful 4000 square foot building on Main Street in Tomball, Texas with all six features listed above. Main Street Crossing (MSC) was founded by Tomball residents Rick and Terri Davis and was built and funded by them as well. The Davises continue to be highly involved in MSC. The intent and strategy of MSC from the beginning was and continues to be to co-locate multiple, small community churches in this building with little or no cost or rent to these churches. In other words, multiple small church communities sharing the facility and each of them calling MSC their “church home”. However, there is a seventh feature, not listed above, that is also part of what MSC provides to its group of small churches. But this seventh feature will take a little explaining in the next paragraph. The seventh feature is this: Main Street Crossing is also a live music venue, providing small concerts to paying customers 4-5 evenings a week. How are the concert activities an advantage to the small churches that meet at MSC? Well, two important ways. SOURCE FOR NEW CHURCH MEMBERS – These concert goers provide a flow of potentially new church members to the MSC churches. Initially they come to MSC to see a concert. Once they are on the premises, they become aware that there are also church communities and many of them become participants in one of the MSC churches. SOURCE OF FUNDING – The revenues from the music activities provide the lion’s share of the funds needed to make the MSC building available to the churches. It pays the bills, for the most part. So, MSC has always provided a home (a facility) to multiple small, community churches and has been doing this during our entire history since 2004. We provided this first class facility either at no cost or at minimal cost to these churches. Several churches share the MSC facility at any point in time, occupying it at different hours of the day. For example, at one point in our history, The Journey Church held Sunday services at 10 AM, Wellspring Church held services at 2 PM, Sondays Church held services at 6 PM and Jim Spivey’s Church gathered at 9 AM on Mondays. MSC has been home to as many as 4 churches at certain points in time or as few as 2. Today, MSC is home to 3 churches: The Journey Church at 10 am, Freedom House Church at 2 PM and Sondays Church at 5:30 PM. MSC sees the future as one of increasing financial giving to other worthy charities. The finances are continuing to improve for MSC which should make this possible. Opening the venue again during morning and lunchtime hours may be considered again as done in the past. 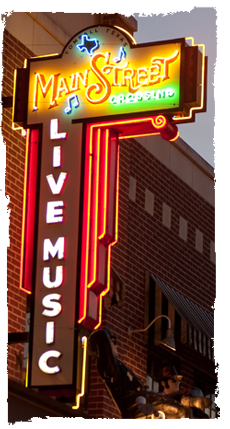 1The music related activities happen within a for-profit corporation called Main Street Music, Inc. that is wholly owned by Main Street Crossing, the 501c3. This is to steer clear of any unrelated business income objections that could have been generated. The for profit entity, when it makes a profit, sends the after tax profits to the non profit. Main Street Crossing is truly a breath of fresh air. A place where people come to really listen to the music. A place where art has the opportunity to breathe. So refreshing.